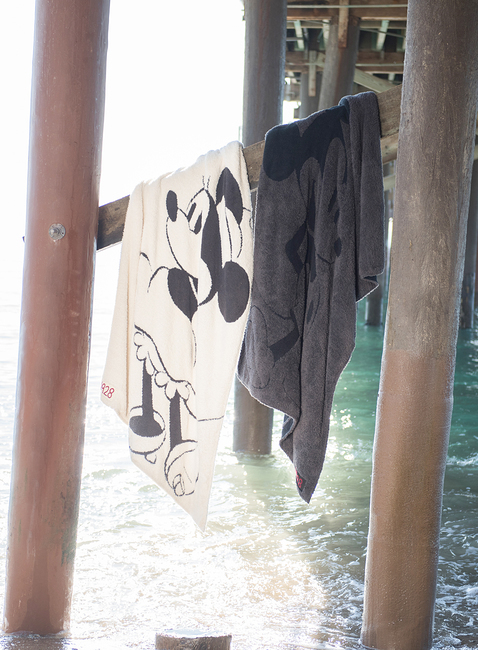 Cozy up with the wonderful world of Disney is our custom Cozychic Classic blanket featuring Disney Minnie Mouse. 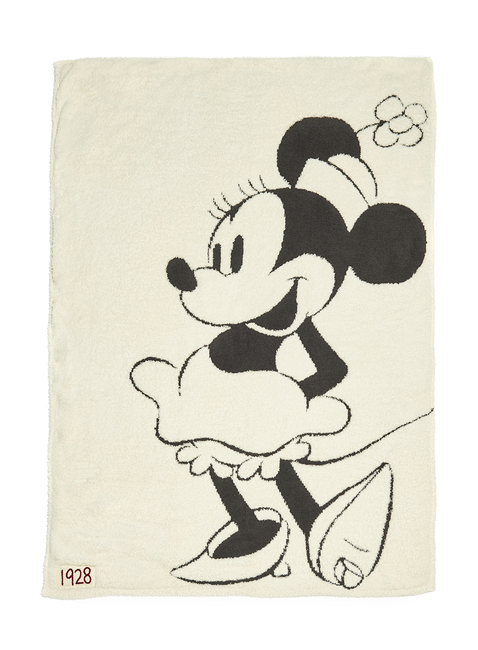 This adorable outline of your favorite female mouse exudes nostalgia and happiness. A unique hi-lo jacquard knitting technique with our world renowned Cozychic feather yarns create a unique dimension and thickness while making it reversible. A deep red, hand embroidered “1928” is stitched on a washed canvas patch, detailing the year of Mickey Mouse’s first appearance. Measures 45” x 60”. Machine washable, tumble dry low. Offered in two nostalgic color combinations.